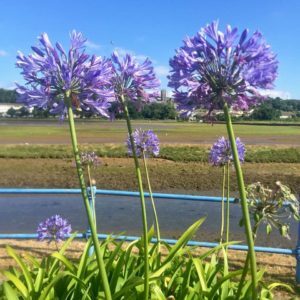 Success for Hayle in Bloom! The mayor attended the South West in Bloom awards ceremony at The Imperial Hotel in Torquay on Thursday 5 October, when Hayle in Bloom received a long list of awards for the excellent horticultural work it does in the town. We are pleased to announce that Hayle won an RHS Gold medal for the town and was awarded the Preece Cup for Best in Category in the South West, which covers an area from Cornwall right up to Gloucestershire and over to Wiltshire. The town council gives Hayle in Bloom an annual financial contribution and this year was pleased to be able to cover the travel expenses for the Hayle in Bloom representatives to attend the awards ceremony.